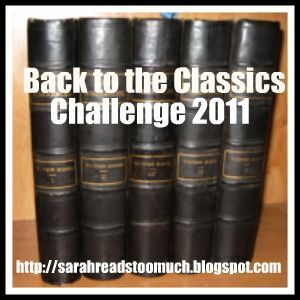 I missed my own bloggiversary. I knew it was coming up sometime in October, but then I forgot. My first official post was October 13. So, quickly, before October disappears, I wanted to celebrate and thank everyone who has participated, commented, followed and helped me enjoy the blogging experience. The winner will receive both books and a $25.00 Barnes and Noble gift card. To enter, please leave a comment including your email address. You don't need to be a follower, but followers (new or old) will receive 1 extra entry. 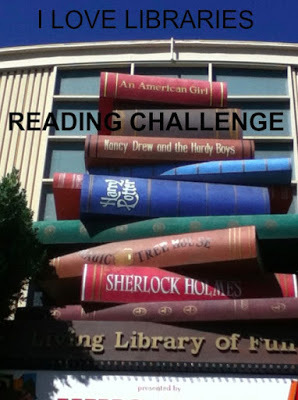 (Please let me know in the comment if you are a follower.) I'm going to have to limit this contest to US and Canadian entrants only. The contest will run today through November 30. Thanks again for joining me in Reading World! Can I summarize my past week in six words? Busy work. Busier kids. Week gone. What is Six Week Saturdays? This meme is hosted by Show My Face. In order to take part, the trick is to describe your life (or something) in a phrase using just six words. For more information, try clicking here. Feel free to explain or not explain. Add an image, a video, a song, nothing. Link your blog post back to Show My Face and visit the other blogs to see what other bloggers have said. 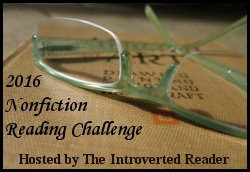 BOOK BLOGGER HOP: Halloween weekend! 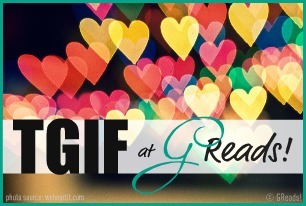 Gearing up for the weekend, it's time for the book blogger hop, hosted by Jen at Crazy for Books. 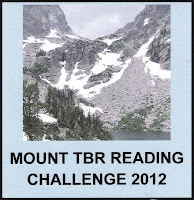 This is a wonderful hop for book bloggers and book lovers. Join us and meet people with a similar passion for books. This is the last week of the hop before an indefinite hiatus so come and hop! Anyway, Halloween has always been one of my favorite holidays because it is such fun. One of the joys has been seeing my kids enjoy it together. If only there was a way to bottle that and keep it! Mailbox Monday is a meme originated by Marcia at A Girl and Her Books. It's now being rotated through different blogs monthly. During October, Mailbox Monday will be hosted by Savvy Verse & Wit. 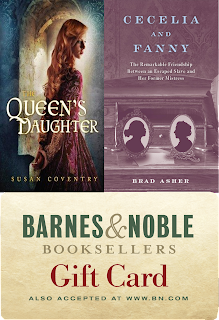 Bloggers can share info about the new books that have come into their homes during the week. It's a great way to discover what everyone else is reading -- and have your own wish lists grow exponentially. This week I bought two new books. 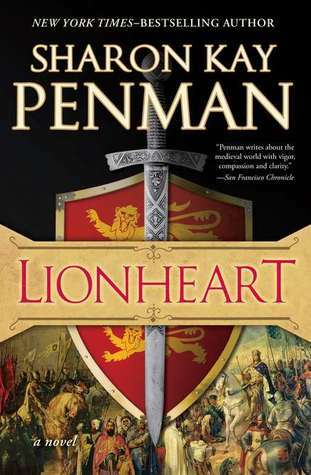 First, Lionheart by Sharon Kay Penman, was the subject of my WOW post a few weeks back. Now I have the book! 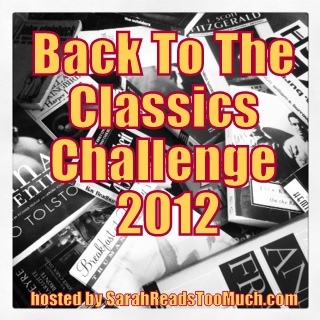 The second book is Road from the West by Rosanne E. Lortz. 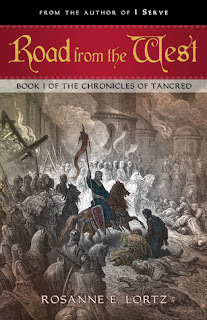 The back jacket description is: You've heard of the Knights Templar, you've heard of Richard the Lionheart-- now learn the story that started it all with the adventures of the First Crusade. Haunted by guilt from the past and nightmares of the future, a young Norman named Tancred takes the cross and vows to be the first to free Jerusalem from the infidels. 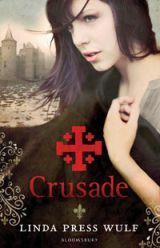 As he journeys to the Holy Land, he braves vast deserts, mortal famine, and the ever-present ambushes of the enemy Turks -- but the greatest danger of all is deciding which of the Crusader lords to trust. 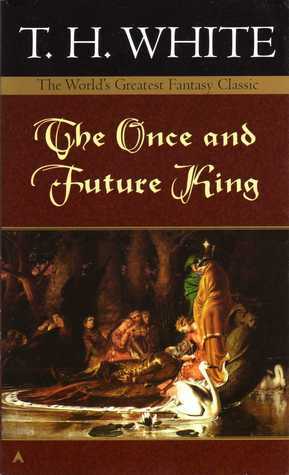 A mysterious seer prophesies that Tancred will find great love and great sorrow on his journey, but the second seems intent on claiming him before he can find the first. Intrigues and passions grow as every battle brings the Crusaders one step closer to Jerusalem. Not all are destined to survive the perilous road from the West. From the description, the book puts me in mind of the classic novel of the First Crusade by Alfred Duggan, Knight With Armour, a book I really enjoyed. So I'm looking forward to this one. BOOK BLOGGER HOP 10/21-10/24: Chocolate!!! Hurray! It's Friday! Time for the Book Blogger Hop, hosted by Crazy-for-Books. 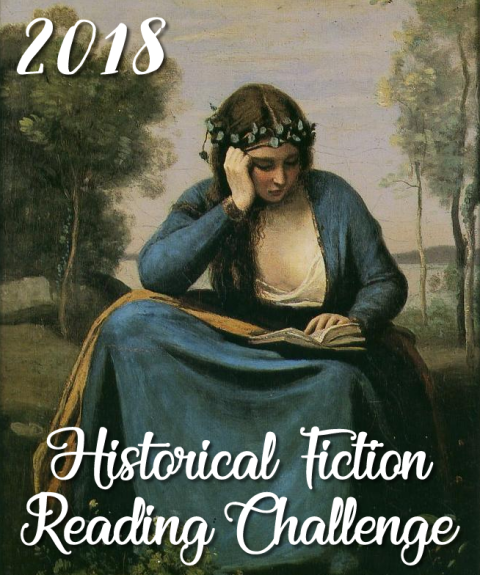 This is our weekly chance to get together with other book bloggers and share our thoughts -- usually about our love for books but sometimes other things. Like this week. I'll eat anything chocolate. My favorite is probably Butterfingers. Although...I do love Goldenberg's peanut chews even more. They're just so hard to find. Of course, some days nothing will do except a Mounds bar. This is why, come Halloween, we're giving out fruity candies. Or maybe candy corn. We hardly get any trick-or-treaters where I live. And if we buy a bag of chocolates, I'll end up eating them all. I'm not sure I should hop around. It's going to be too painfully tempting. Set in the late 13th century, this is the story of Emmajin, a Mongol princess, the granddaughter of the Great Khan Khubilai. Emmajin has been raised on stories of the victories of the Mongol army and the advancement of the empire. She is not only beautiful but strong; she is as good (or better) at archery as her cousin, the Khan’s heir. While her younger sister and the other girls talk of nothing but marriages and court gossip, Emmajin is interested only in conquest and military affairs. More than anything, she wants to be a soldier in her grandfather’s army. 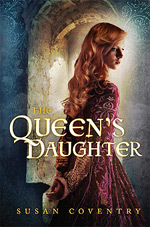 The action begins when Emmajin is given a chance to prove herself – not so much as a warrior, but as a spy. Each of the Khan’s older grandchildren, the ones of age to become soldiers, are assigned to learn about the customs and military strength of one of the foreigners at court. Emmajin’s foreigner is a handsome, young "Latin" named Marco Polo. Marco Polo has come all the way from Venice with his father and uncle on a trade mission. He is a merchant, not a soldier. At first, Emmajin is unimpressed with him. But as they spend time together, she comes to respect his abilities even though they are definitely not the warlike virtues she values. His talk makes her begin to question her own beliefs. And although she has never been interested in men or marriage, she finds herself drawn to Marco in a way she never anticipated. Daughter of Xanadu is set in a time period I love, but in a completely different locale from my usual fare. The book sets the stage marvelously, making an unfamiliar, exotic location into a rich, real world. Marco Polo and "Kublai Khan" are names that I recognize, of course, but have to admit I know very little about. 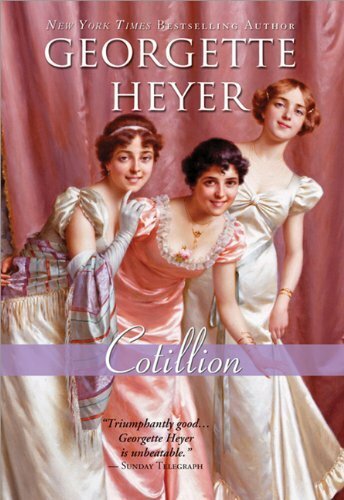 This novel does a wonderful job of bringing these characters to life. 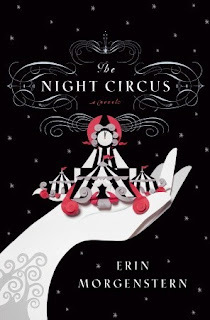 Emmajin is an inspiring young woman and her adventures make for a fast-paced, enjoyable read. 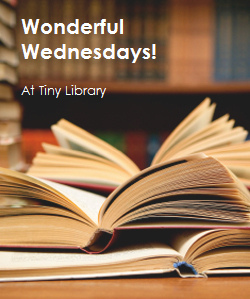 Sam at Tiny Library hosts a meme called Wonderful Wednesdays to give book bloggers a chance to spotlight wonderful books that they haven’t had a chance to talk about before. They don’t have to be recent reads. Just well-loved books. 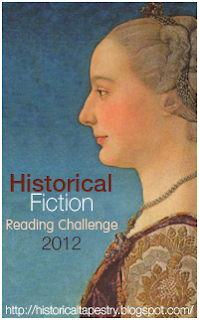 Each week has a different theme and this week’s theme is historical fiction. This is a tough one for me. I have to take part because it’s historical fiction! I read this genre more than anything else. The problem is picking just one book to talk about. There are so many that I love. I finally realized that Wednesday was going to end if I didn’t just pick one of my favorites and say something. So here it is. One of the best historical fiction writers of all time has got to be Colleen McCullough. She’s tackled various times and places and her books are amazing. But while many people will remember her as the author of The Thorn Birds (for those who remember when the T.V. miniseries was all the rage) I became addicted to her books because of The First Man in Rome. This is the first book in her massive Masters of Rome series, chronicling the end of the Roman Republic and the start of the Empire. I ate those books up. 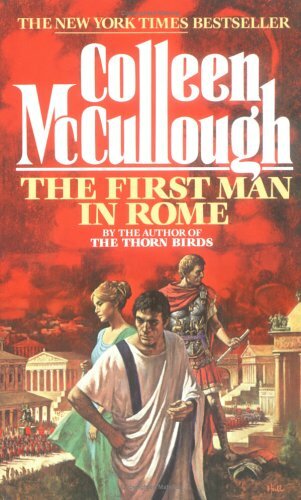 The First Man in Rome is the story of Gaius Marius a wealthy, brilliant military man of low origins who becomes the most powerful man in Rome at a time when Rome was undergoing a massive (and violent) upheaval. Alongside Marius, sometimes in his footsteps, is Sulla, a poor but highborn man of questionable morals. Friends and rivals, they are ambitious men, loyal to Rome but with their own definition of loyalty. The book, including glossary, is over 1000 pages. The history is meticulously researched. When reading the story you are thrown back into ancient Rome. For those unfamiliar with the huge cast of characters and the complexity of the political intrigues, not to mention the geography of the military endeavors, the book can be daunting. 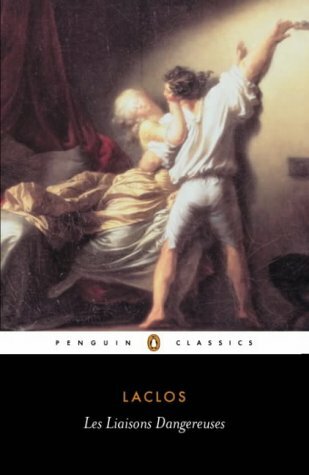 But the personalities as so forceful and the plot so compelling that I was sucked in to the story even when I couldn't keep track of all the threads. What I loved most about this book (and its sequels) is how alive the characters were and how deeply emotionally invested I became in their stories. 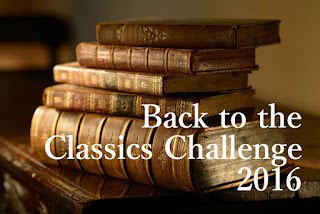 For all the intricacy of the history and politics, for all I felt I was learning something about a pivotal time in human history, mainly, I was reading a tale of human striving, love, friendship – triumph and tragedy. The characters are larger than life and yet, they are real. Just thinking about the book makes me want to read it again! The books I’ve reviewed lately have been well-written with in-depth characterizations and I’ve enjoyed them, but they haven’t exactly been...cheery. I needed a change of pace. 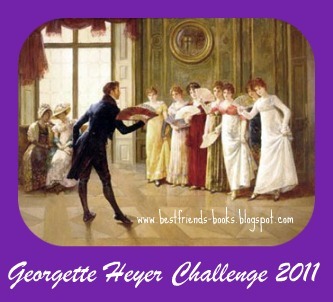 It was time to read another book for the Georgette Heyer Challenge hosted by Stephanie at Books are a Girl's Best Friend! Although this concludes my challenge, I’m sure I’ll be reading more of Heyer in the future. I chose Cotillion this time around. In this Regency romance, a very light-hearted romp, Miss Kitty Charing is about to be named heiress to a fortune. She is an orphan who was adopted by the grouchy old Mr. Matthew Penicuik. With no children of his own, it was expected that Mr. Penicuik would leave something to Kitty and the rest to his great-nephews – the bulk likely to his favorite, the handsome rake, Jack Westruther. But instead, Uncle Matthew summons them all to his manor to announce that Kitty will receive it all, provided she marry one of them. Not all the nephews show up for the announcement. Jack, who does not like to dance to his uncle’s tune, has not come. Other nephews dutifully offer for Kitty and are roundly refused. Not only are the proposals painful, but Kitty wants to marry Jack. She’s been smitten with him for a long time. But she doesn’t want to be coerced into a marriage either, or to have Jack ask for her only because of the inheritance. Still, she’s miffed by his lack of interest. And then, there is the last of the nephews, Freddy Standen. Good-natured and generous, Freddy is a dandy, more interested in clothes than females. He has plenty of money; he doesn’t need Kitty’s inheritance. He showed up by accident, not knowing why he was supposed to be there. He’s just the one Kitty needs to help her. She begs him to pretend to offer for her. With their false engagement, she can escape Uncle Matthew’s manor and spend a short while in London – all she’s ever dreamed of. Moreover, although she doesn’t mention this to Freddy, she’ll have a chance to make Jack jealous. Freddy reluctantly goes along with the scheme, but once they get to London, nothing goes as planned. The story delightfully goes off in several directions as Kitty tries to play matchmaker for new friends and old ones. She has run-ins with Jack that bring her closer to her goal and then make her question what she really wants. And all along Freddy sticks by her side, rescuing her from her mistakes and, at the same time, learning what he is capable of. They both grow as characters – and guess what? It’s sweet and fun. Innocent and silly. Hooray! 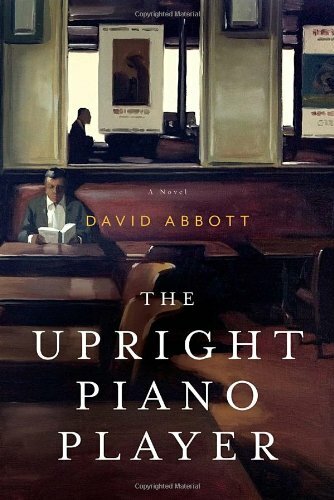 The Upright Piano Player by David Abbott is a contemporary relationship novel, the kind of thing I usually stay away from because (except for romance) contemporary relationships tend to come across as rather bleak. 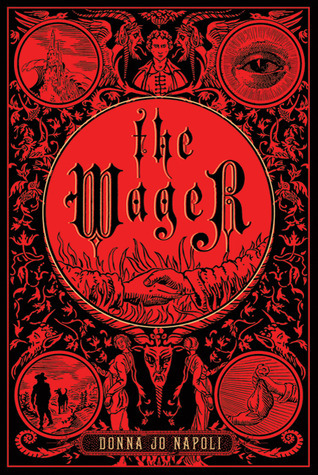 (Small scale bleak - not historical fiction bleak which is grand scale and entirely different.) Nevertheless, I saw this blurbed elsewhere and I was intrigued enough to request if from the library. And once I started reading it, I really couldn’t stop. The book opens with a short part one, a prologue really, set in 2004. Henry Cage, the wealthy, upright protagonist is reluctantly attending a funeral he cannot avoid. It’s the funeral of his eight year old grandson. As the prologue unfolds, we learn that his grandson died as the result of a grisly, violent accident, and Henry feels responsible. We then jump back to 1999. Henry is being forcibly retired from the company—a London business consulting firm— that he helped found. The company is growing beyond Henry’s vision and Henry is tired of being the voice of restraint, so he goes without a fight. He is wealthy and respected. Life should be good, right? But no. 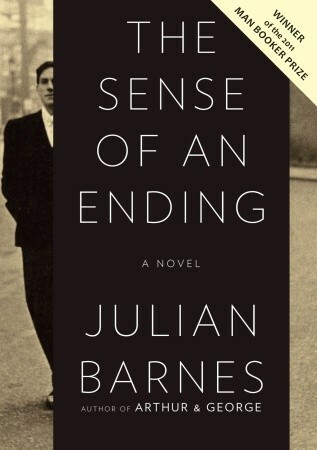 Through a series of flashbacks we learn of his divorce from his wife and resulting estrangement from his son. And we learn that his ex-wife is now dying of cancer. And then, late one night, through no fault of his own, Henry comes across a violent sociopath who starts stalking him. Henry has to deal with the loss of his job and the routine that gives his life meaning, he has to confront his loneliness and the mistakes he has made throughout his life, and he has to figure out what to do about an increasingly crazy/creepy situation. The author does a wonderful job of painting character sketches of a diverse bunch of people. Although some of the plotting hinges on coincidences that felt a bit stretched, the characters were realistic enough to make it all work. Henry is a sympathetic protagonist. He’s flawed, but it does seem his suffering may be disproportionate to his crimes. (Particularly when contrasted with his sociopathic nemesis.) The book almost follows a redemptive arc with Henry going along a path of self-discovery, plunging to the depths, and finally finding solace and embracing his own need for humanity, for love of family, etc. etc. This was almost a book where I could have turned the final page and found a satisfying conclusion. Unfortunately, I was naggingly aware of that part one. I knew what was down the road for Henry. So I knew how futile it all was going to be for him. If you like character-driven contemporary fiction and good writing and don’t mind having a dark cloud hanging over you for awhile after the book is done, I’d recommend this. However, as for myself, after this I’m calling a moratorium on depressing books. Minna Losk is a 16-year-old Jewish orphan in Odessa in the late nineteenth century. She has been living a life of loss, fear, and poverty and has no hope of a better future in Odessa – but she has one chance of escape. She can offer herself up as a mail-order bride and go to America. Minna is sustained throughout her long and difficult journey by a fantasy of the handsome, young (even weathy) husband awaiting her. However, when she arrives at her destination—South Dakota—she finds nothing more than a sod house and a failing farm. Her husband-to-be is more than twice her age and she is to be step-mother to his two teenaged sons. Minna is appalled. Worse, she is trapped. Although there are kindly neighbors who offer advice, aid, and occasional companionship, these neighbors are a long way off. Minna’s world is pretty much limited to the ramshackle farm and the three males in her strange new family. Her betrothed is fussy and devout. Her younger stepson to be is devil-may-care and friendly, but a little annoying. And then there is Samuel. Her eighteen-year-old future stepson is serious, handsome, sometimes helpful, and sometimes aloof. Minna cannot force herself to love the man who will make her his bride. Unfortunately, she also can’t stop herself from thinking about Samuel. She grows increasingly attracted to him – and guesses that the feeling is mutual. The marriage is inevitable – it’s why she was brought to America. Minna, miserable as she is, tries to make the best of it. At least, she goes through the motions each day without much outward complaint. But it is a bitterly hard life. Minna learns all too soon that they are very poorly prepared to survive the harsh Dakota winter. Their struggles are painful, almost insupportable. This is no sweet-natured Ingalls family pulling together to make it through the long winter. 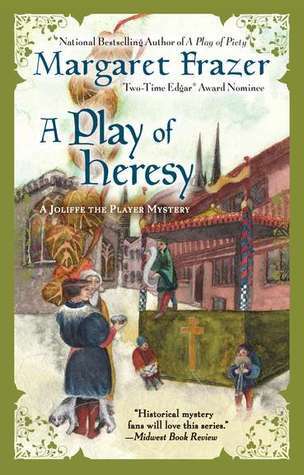 Within their household and within their tiny community, Minna witnesses examples of cruel selfishness and extraordinary generosity that drive home to her the pettiness of her husband and the intolerable state of her marriage. 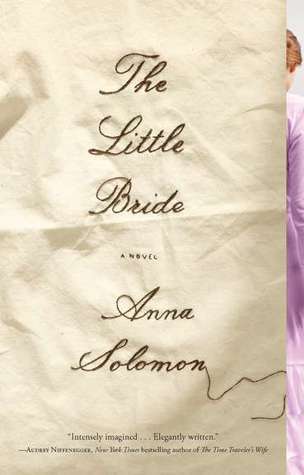 The Little Bride by Anna Solomon is a beautifully descriptive book. You’ll experience the incessant rocking of the ship of her transatlantic voyage, and the harsh, bleakness of the frontier landscape right alongside Minna. The characters are vivid and believable. It’s unfortunate that the closer they are to Minna, the less likeable they are. She is always in close quarters with people who have the effect of hardening her more. Minna is not an endearing person. But given the extremely limited options of her world (and thanks to the author’s in-depth exploration of Minna’s character), I was able to understand her choices and actions. Minna is adaptable. Under conditions that would defeat the pluckiest of pioneers, she could pick herself up and head off on a new path. I have been trying to put a dent in the pile of books by my bed but I keep getting distracted by new books. So I made a bargain with myself that I would use the library more, and stop buying books to pile up in various places all over my house. Most of the requests I've made have been new releases, which means going on the library's waiting list. Which is great because I know I'll get the books eventually but can concentrate on my piles for now. But then, for some reason, in one week I get calls that 8 books are in. Not all are new releases, but the ones that are can't be renewed. 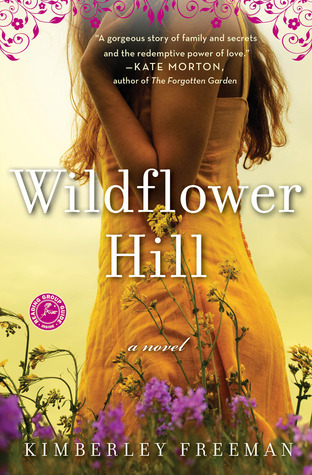 All this is prelude to explain why I ended up buying Wildflower Hill by Kimberly Freeman. 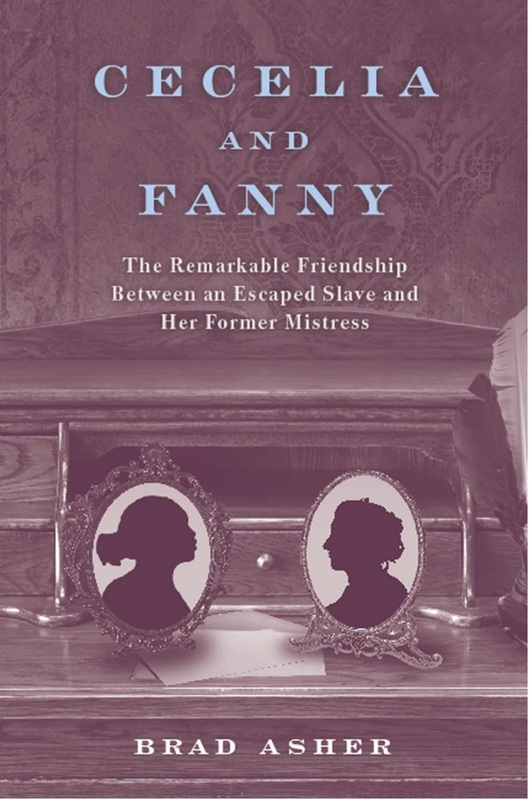 I've seen this book talked up on a couple blogs and it sounded like something I'd really enjoy. 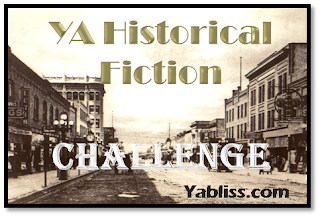 It's not exactly historical fiction. The prologue places us in 1989. 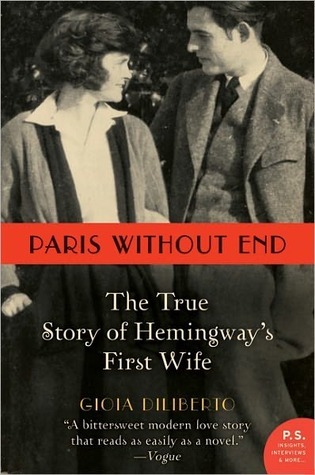 However Beattie's life story starts us off in 1929 which counts as historical fiction for me. Mainly though I'm hearing this described as family saga, and I'm in the mood for some saga. However, I apparently wasn't enough in the mood to read it before I had to return the book to the library. Time got away from me. So...I bought it.